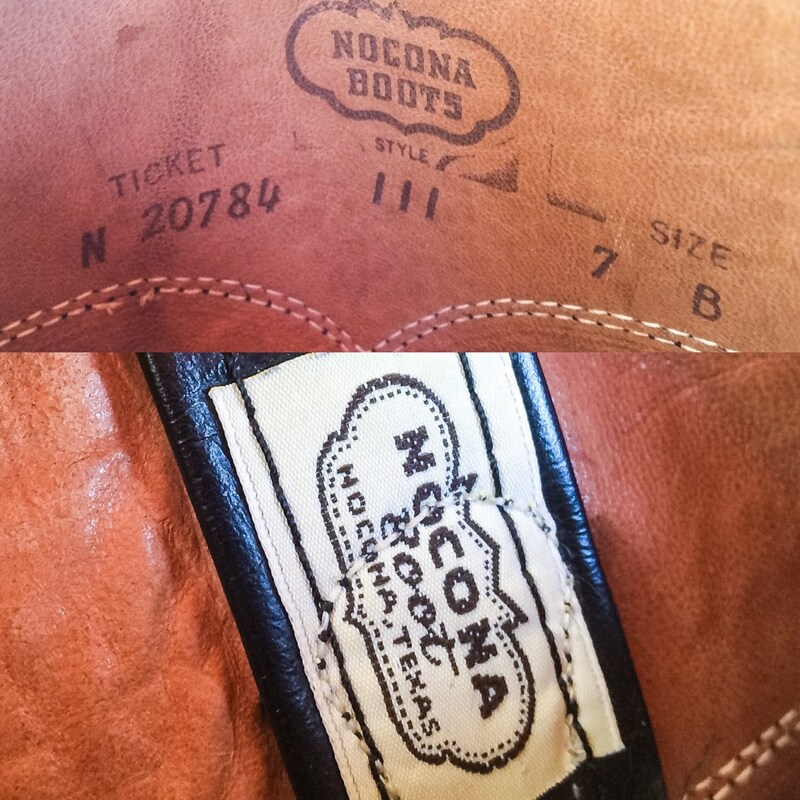 The white label inside the pull strap of this vintage Nocona tells us this boot was from the Nocona, Texas boot maker's premiere line. And what a gorgeous boot it is: supple black leather with a classic roper style Western profile. 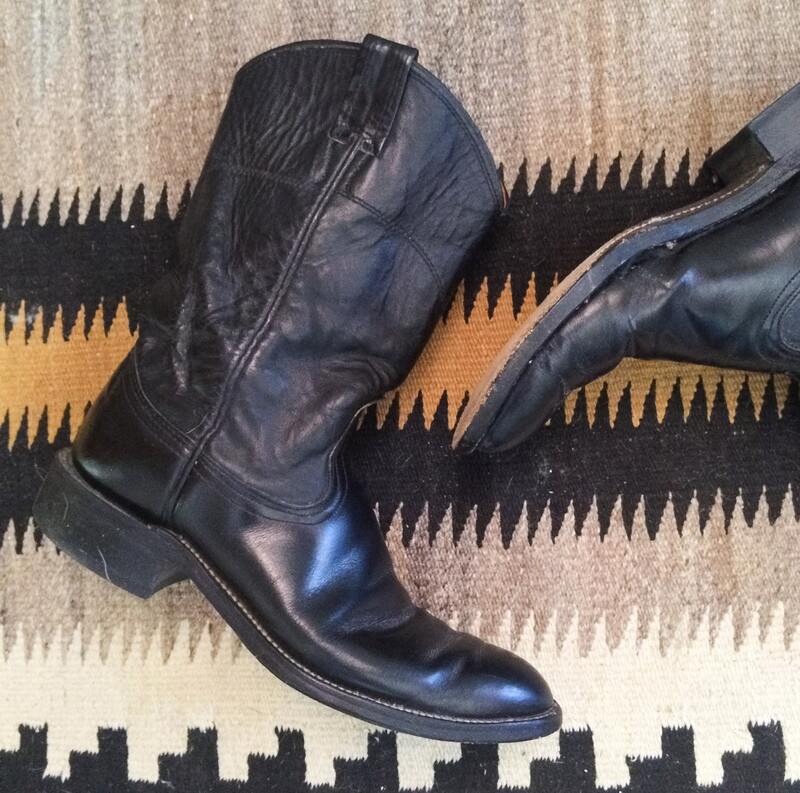 Vintage Nocona boots used men's sizing for both men's and women's shoes. So this 7B is a Women's 8.5. The "B" designation typically means extra narrow, but in this case the boot has a pretty standard width, but check the measurements to be sure. Nocona Boot Company was founded by Miss Enid Justin, from the Justin Boot family, in 1925. 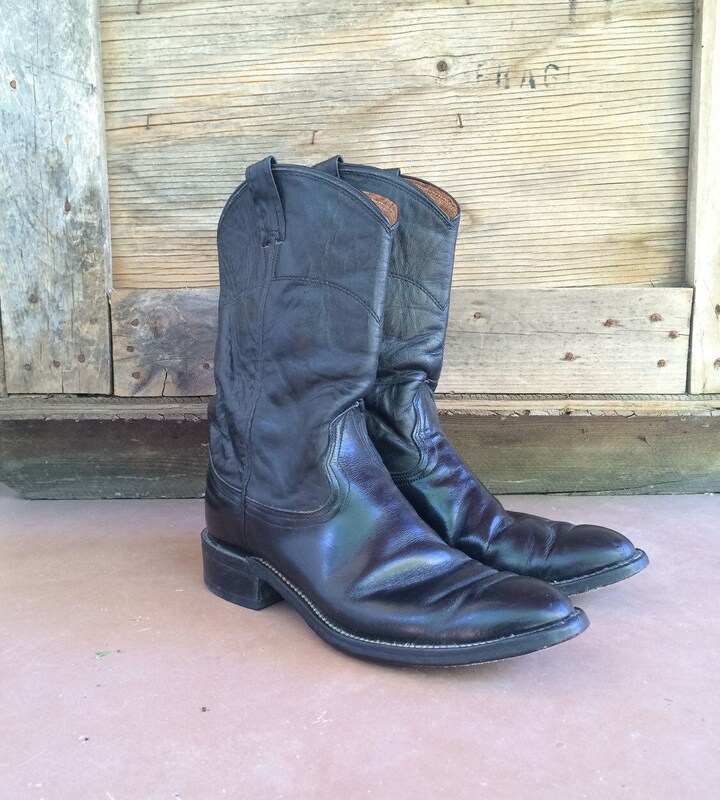 In 1981, the Nocona Boot Company merged with Justin Industries. 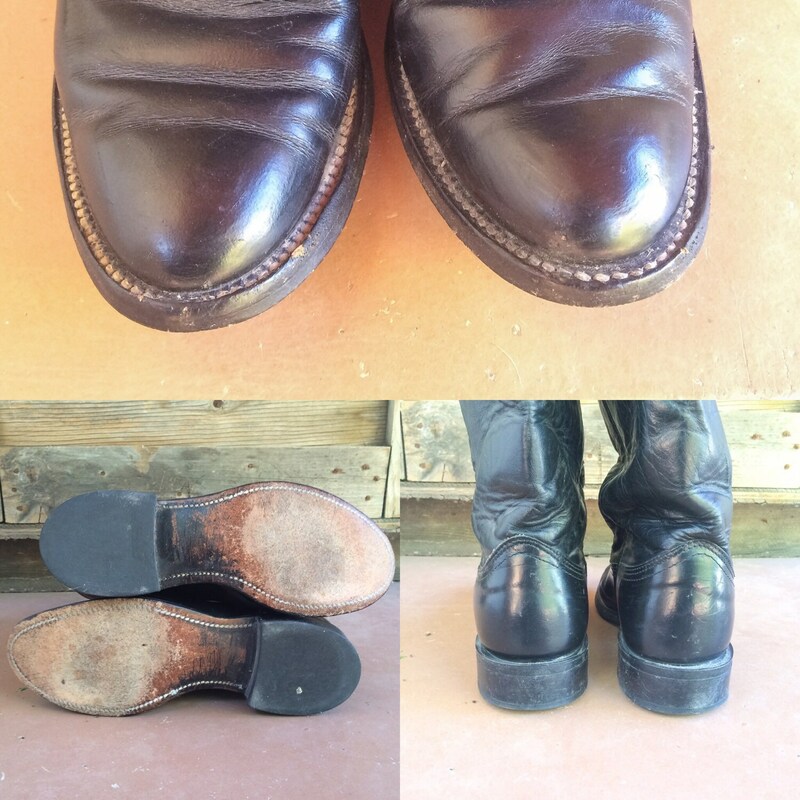 These are pre-merger boots, true Noconas, and an increasingly hard-to-find Made in USA. 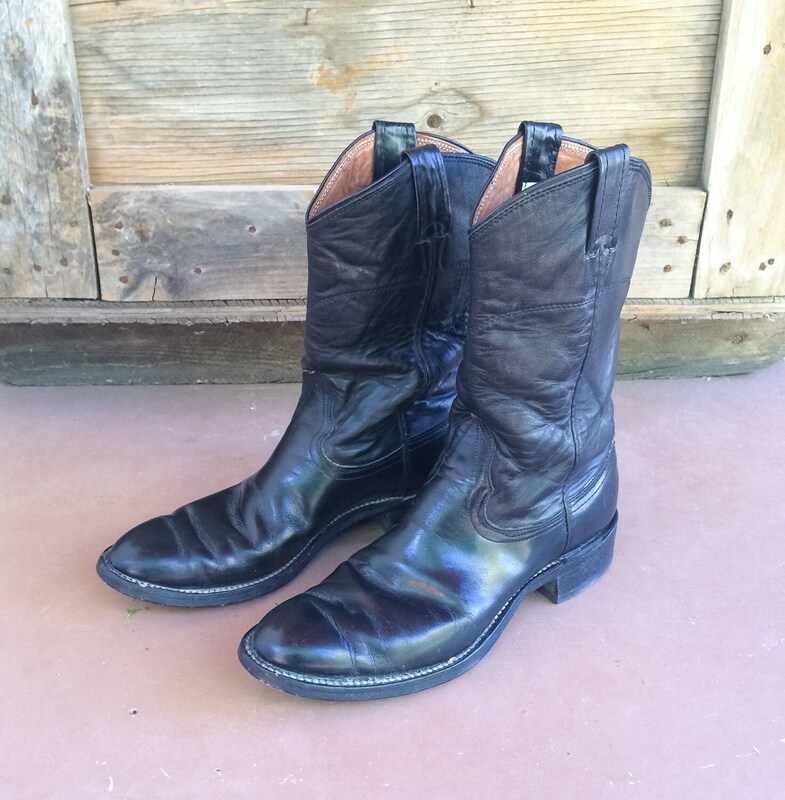 A beautiful rare vintage boot! Sole, heel to toe: 10-7/8"
Sole, across ball of foot: 3-3/4"